*Actual bar stool height & arm height will vary base on seat height selected. Designed by Peter Homestead, the Kenzo Woven Swivel Bar Stool exhibits simple, graceful lines and a wide frame. 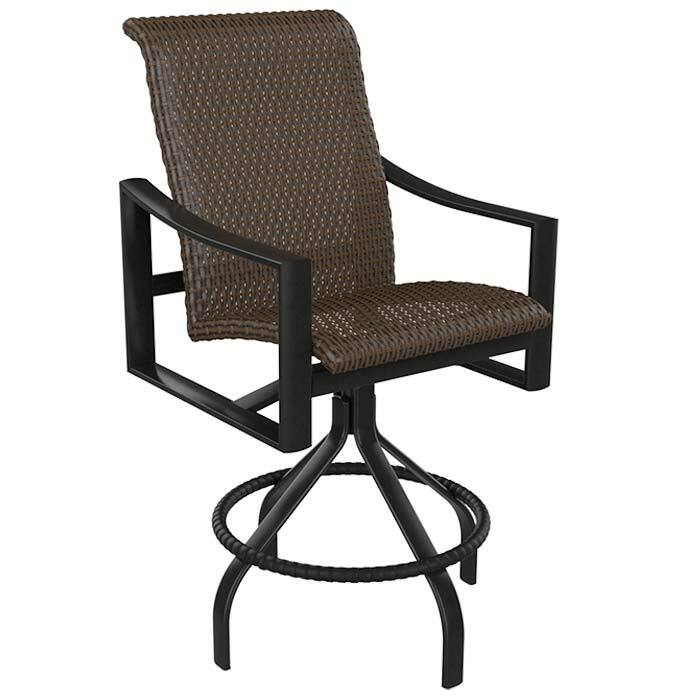 This outdoor bar stool features Tropitone’s desirable TropiKane® Bison Weave. The Kenzo Woven Swivel Bar Stool delivers optimal comfort for relaxation all day long.